The bidders for the UK's 4G bandwidth have been announced, with BT and a Buckinghamshire telecoms company amongst the more familiar names of the major UK networks. The auction for a big swathe of the UK's spectrum (800 MHz and 2.6GHz) occurs early next year, and communications regulator Ofcom has named the seven bidders for the sections of spectrum. 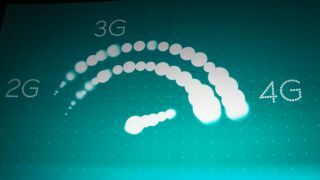 The main networks are present and accounted for, including EE - which already holds the honour of the UK's first 4G network, Vodafone, O2 (Telefonica) and Three (Hutchison Whampoa). What are they bidding 4G? Less familiar to many will be PCCW - a Hong Kong-based telecoms conglomerate and MLL Telecom - a Bucks-based network supplier. Rounding out the list is BT - through its subsidiary Niche Spectrum Ventures, which is an interesting move for Britain's most familiar telecoms giant. "New 4G services will stimulate investment, growth and innovation in the UK, and deliver significant benefits to consumers in terms of better, faster and more reliable mobile broadband connections," said Ed Richards, Ofcom's chief executive. Those benefits principally mean faster data transfer, with 4G all set to bring in things like streaming HD video on the go, video calls and super-fast surfing.